Galician national park – this is the best holiday combined with nature. In addition to a pleasant stay in a beautiful nature and fresh air, you can enchanting birdsong, walk the path of water to another enclosure and watch the wildlife. It is located near the small provincial town Galich - once the majestic capital of a powerful kingdom Galicia. Galician national park was established by the Decree of the President of Ukraine on August 9, 2004, within the Galician region of Ivano-Frankivsk region, with the aim of the conservation, reproduction and rational management of typical and unique forest, meadow-steppe and wetland natural complexes and objects that have special environmental, scientific, historical, cultural, recreational, educational and aesthetic values. 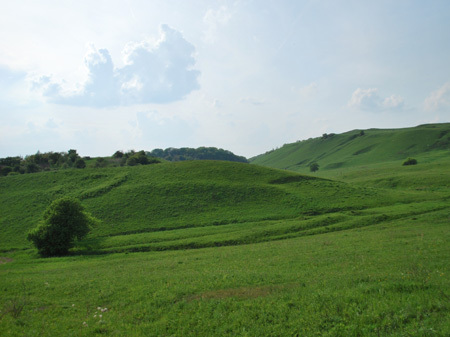 The park is located on the border of two physiographic countries: Ukrainian Carpathians (Precarpathians region) and the south-western part of the East European Plain (Opole region of Western Province Forest-Steppe zone). Through this arrangement for the territory is intrinsic huge landscape and biological diversity. Galician national park has all the prerequisites for boating on the rivers Dniester and Limnytsya. Special attractiveness and value impart to it unique beech forests on the left bank of Limnytsya with numerous karst limestone cliffs and caves of origin, 80-year-old oak tract, marshy tract “Korchova” and deep karst lake “Simlyn”. 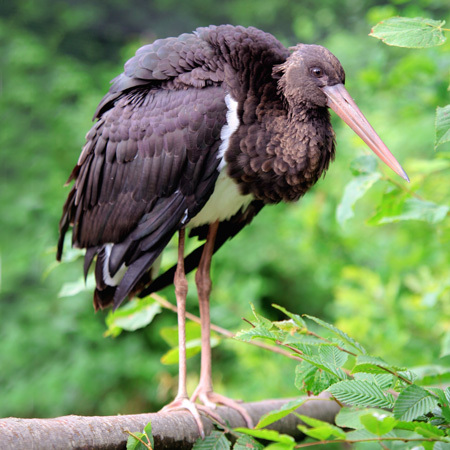 Rehabilitation center for wildlife conducts rehabilitation of animals and birds that are in trouble and cannot survive independently in nature without human assistance. The Center is a favorite spot of park visitors, especially children. Duration of the tour – is 40 minutes. 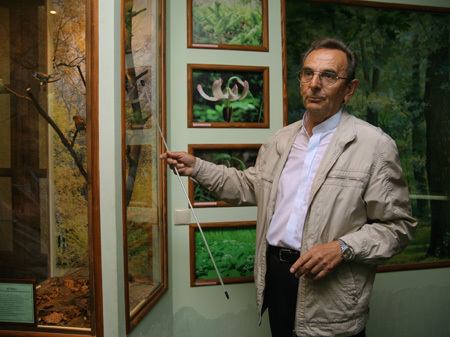 Is presented by diorama of scenic natural places Galician NPP, meadow steppe, wetland and forest ecosystems, flora and fauna of national parks, rare and “the Redbook” species, many exhibits, including a hundred those of years ago from collection of the initiator of environment protection activity in Galician region and Ukraine Volodymyr Dzieduszyckiy. In ekzotarium you can see and hear magical singing of birds from around the world, parrots (wavy, pink cheek Lovebirds, Corelli, kakarikies), pheasants, zebra finches, canaries, Japanese quail and others. 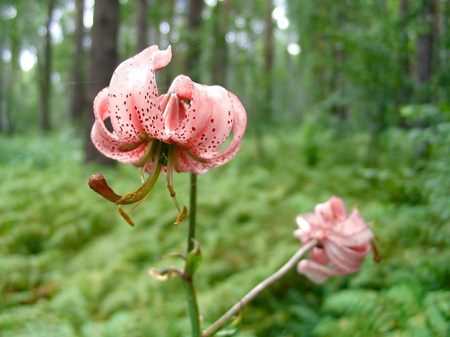 Ecological and cognitive trail “On Kasova mountain” runs in 36 quarter of Bushtyn forestry. The length of the route is 2 km. Duration of walking tours – is 1 hour. Unique meadow and steppe areas with “Redbook” plants and rare species of birds. Here you can also see Kryyivka and memorial cross of UPA. The route is marked. Color of the mark: a forest green and white stripes, on the mountain are stone-pointers. The length of the ecological and cognitive trail “By Dibrova” is 8,7km. Duration of the tour is 4 hours. Introduction to the Red Book plants, lily, Platanthera bifolia, Neottia nidus-avis, snowdrop white, Ramsons and wildlife, badger, fox, pine marten. 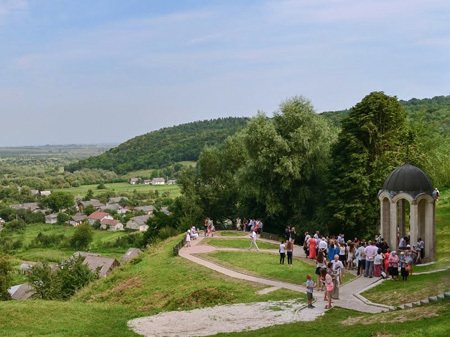 Remains of UPA Kryivka, chapel, Stations of the Cross, the location of ancient monastery of ancient Galic times, equipped viewing platform from which visitors admire the magnificent scenery of the valley of one of the cleanest rivers - Limnytsya. The route is marked. Color of the mark: horizontal stripes of white and green. The length of the tourist route “The Princely well - Castle Hill” in Galician forestry is 7,4 km. Approximate tour duration is 4 hours. Museum of Ancient Galich, Galicia grave, Museum of Folk Architecture and Life of Carpathian (1982), Princely well, the foundations of the Assumption Cathedral of XII century), the monument-symbol of “Sword and plow”, trip by hornbeam and beech forest, familiarity with flora and fauna of the route, tours: the museum “Nature of Galician land”, ekzotarium and Arboretum, Starostynskyi castle, monument to King Danylo Galician, church of the Nativity Cross, a metal footbridge over the river Dniester (1910). The route is marked: blue and red stripes. 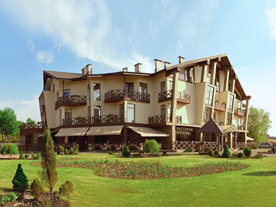 Balneomud resort of Ukraine. It is situated in a picturesque park area at an altitude of 300 meters above sea level in a valley surrounded by the foothills of the Carpathian Mountains. The climate is mild and moderately wet. 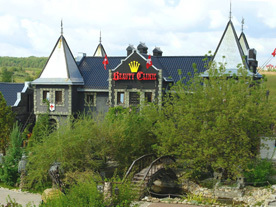 Hotel “Black Castle” in the style of Austro-Hungary at XV-XVI centuries. Located on the outside of Ivano-Frankivsk in Kalush direction. 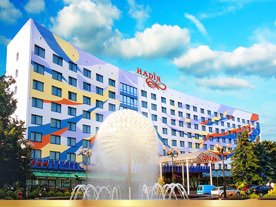 It is awarded with Ukrainian Travel Awards as “most conceptual hotel in Ukraine-2011” and was the object of Euro-2012. 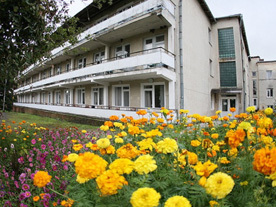 Reikartz Park Hotel Ivano-Frankivsk is located in a quiet and picturesque location on the lake near the city park in Ivano-Frankivsk. 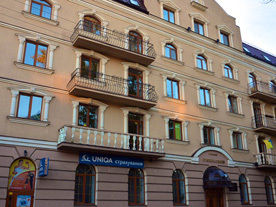 Hotel “Stanislav” is one of the best hotels in the center of Ivano-Frankivsk, design and architecture of which emphasizes the elegance of this historic city. Hotel “Sputnik” offers 51 comfortable rooms to suit different tastes and needs. 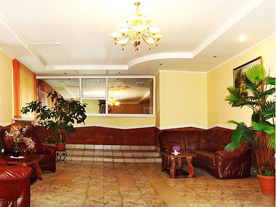 The hotel “Nadiya” is located in the heart of Ivano-Frankivsk and offers a cozy family vacation. In the Galician National Park for rehabilitation and subsequent return to their native element of the local fauna in trouble, since 2007 the center of rehabilitation of wild animals is functioning. Here are only accepted sick or maimed in different circumstances, and young animals that are unable to find food in the wild doomed. Journal of observations of the behavior of animals in captivity is kept, their vaccinations and treatment is carried out. It creates the right conditions of their stay as close to their existence in the wild. After treatment and rehabilitation will be released only animals that can live again in an ordinary setting. 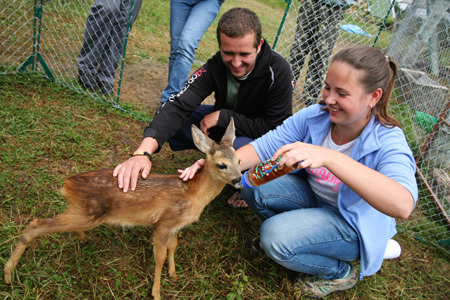 If you prefer, you can closer communicate with the residents of rehabilitation center for wild animals and even feed the little wild with the yearling bottle. In early February 2013, during the accounting of wintering waterfowl on Burshtinskiy reservoir in Galician National Park was discovered unusual bird, which, for 20 years of monitoring, have been never seen before. Bird was the Chilean fistula (Anas sibilatrix Poeppig, 1829) - South American bird. Its range includes Argentina, Chile, Brazil, Falkland Islands, in the vicinity Antarctic coast. This species is listed in the Red List of the International Union for Conservation of Nature - the category LC (species under low threat of extinction). The first priority task of the Park scientists is to complete inventory of flora and fauna, and interesting objects of inanimate nature. In parallel monitoring of some rare plant and animal species and habitats on permanent sample plots and profiles is conducted. The importance is attached to environmental education. On the base of GNPP is functioning ecological and educational tourism complex, which includes: Museum “Nature of Galician land” ekzotarium, wildlife rehabilitation center, exhibition area of meadow and forest steppe plant species and Arboretum. In most representative parts of the park are functioning eco-educational paths (“By Dibrova”, “On Kasova Mountain”, “Along the reservoir”).